Charleston Limo Bus >> The #1 luxury limo buses in Charleston! 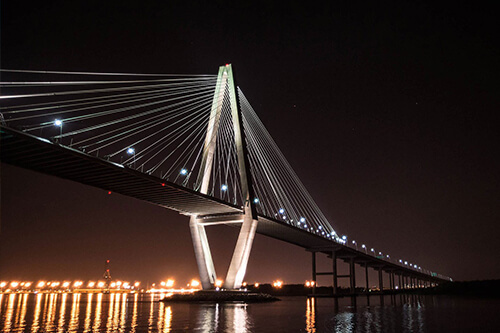 Experience the allure and delight within the city of Charleston in luxury and style with a limo bus! We are proud to be this areas outstanding limo bus rental company. We are satisfied to have the most marvelous fleet of limo buses with state-of-the-art features and amenities to supplement your experience on the road. You can't go wrong adding a bit of luxury to big celebration, intimate night out, or any type of gathering in between! Our amazing fleet offers limo bus options with so many astonishing features and amenities, it will be easy to find the perfect vehicle for your event once you take a look for yourself! Whether you're heading out for a winery tour at the Mira Winery Education center, your personal wedding, or a wild bachelor or bachelorette party, we have the bus for you and your group of friends! We're confident that you'll love travelling in such elegant style as opposed to driving yourself around in your own vehicle. Not to mention, the consideration of how easy it is to simply walk onto a stately vehicle you've rented instead of going through the motions of preparing for a night out make it an easy decision to make. 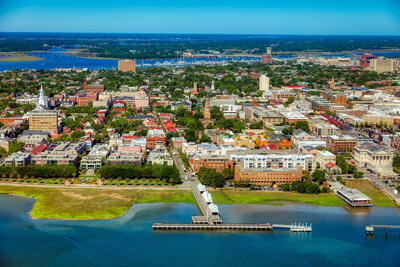 We cater to all of Charleston and the surrounding areas, being able to arrange our services to extend to several counties. That means no worries for you if you're looking to check out some spots like the Magnolia Plantation and Gardens or Drayton Hall on a sightseeing tour. This is also good news for those who happens to live on the perimeter of the city! When you want the best twenty four hour service and are ready to have a celebration that can take you anywhere, call us at your earliest convenience. Our dedicated team works hard to provide you with reliable, prompt, friendly, and affordable service! It doesn't matter if you're planning a trip to the MOJA Arts Festival, Lowcountry Oyster Festival, or the BB&T Wine and Food Festival, you can count on the addition of our vehicles to be the missing piece you were looking for all along. Personalizing your trip is easy to do when you book with a flexible business! When you reserve our services, you wont have to worry about things like finding directions in a hurry or rushing to get a responsible designated driver at the last possible minute. Safety and convenience are our top concerns any time a vehicle leaves our garage. We pride ourselves on tremendous customer service, so it's no wonder we've grown into the company we are today and have such a great clientele! Browse our site to learn more about us, our party buses in Charleston and rates, then give us a call or send us an email if you have any questions or when you're ready to book your reservation! It's easy to talk to a staff member with our consistent customer service which is often available all hours of the day. You deserve a night out so do yourself a favor and pick all of your favorite bars, get a group of your friends together and have a memorable experience rolling through the local streets! With our services, you can choose to party on board or try to get to as many hot spots as possible like the Cocktail Club on King street or the Gin Joint over on Bay. The possibilities are seemingly endless, and that's why we see our customers more than once. After spending years providing transportation to basically every celebration that you can think of, we have a good idea of where to take you if you're unsure on the exact details of your itinerary. One of the best parts about booking with us is that we always do our best to ensure that you're fully accomodated, you just have to come prepared to have tons of fun! We do everything in our power to pass on the savings to you when you reserve for your special affair, and that's why we're one of the top companies when it comes to transportation. Passing down our savings onto you makes sure that you aren't paying any more than you need to for a night out on the town. You work hard for your money and certainly deserve a great value whether you are organizing a holiday party or something even more elaborate milestone such as a wedding. We strive to exceed your expectations time and time again, so keep us in mind when you're looking to get from one point to another in style and supreme comfort. Tons of fun awaits you with features such as stylish leather seating, spacious interiors for dancing through the night, color changing lighting for an ambient atmosphere, hardwood flooring, dark tinted windows to ensure privacy for your trip, cup holders for your beverages, as well as television screens and audio systems with different auxiliary capabilities.